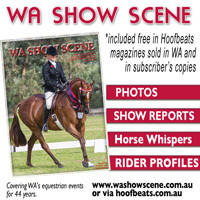 When the announcement was made that Steffen Peters would be the master clinician at the 2010 Equine Expo extravaganza, Equitana, which will be held in Melbourne on November 18–21, it was greeted with mixed reactions from horse enthusiasts across Australia. Steffen will present a specialist dressage clinic on how to train dressage horses from Preliminary to Grand Prix level, as well as deliver other dressage training sessions and presentations during the event. Those who were aware of the horsemanship skills of this German born dressage trainer and competitor, who now competes for the United States, were extremely enthusiastic at the opportunity to attend a clinic where they could gain an insight into how this man produces some of the world’s best performance horses, and what skills and techniques they can take home to add to their own training or riding regime. Steffen trained in Germany and is steeped in the classical principles, having benefited from instruction at the hands of such luminaries as Harry Boldt, Jo Hinnemann and Klaus Balkenhol, before emigrating to America. He has represented the United States in dressage at the Olympics twice and has won several major victories in international dressage competition, of which the most recent include the 2009 Rolex FEI World Cup in Las Vegas and the 2009 CDIO at Aachen where he beat the world’s best riders. He is also a much sought out instructor. 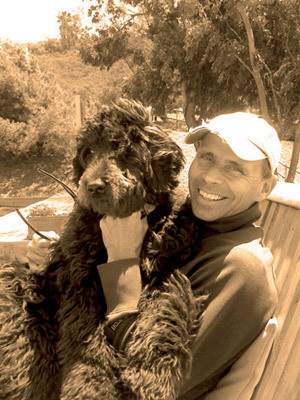 In addition to running a busy dressage training and sales barn in California, he travels all over the United States and Canada to teach and give clinics, and is noted by students as a trainer who can help in many situations and who will take a rider on no matter what kind of horse they are riding… whether it be a Quarter Horse or a Shire cross! If riders from disciplines other than dressage are asking about what competition tips they will get from Steffen Peters, then the answer is probably not much! Modern dressage competition takes the schooling of horse and rider to nuances and heights beyond what most utility and recreational horsemen have use for. It has become a highly specialized and stylized sport that requires horses of very specific type, conformation and gaits that are especially bred for the purpose if one is realistically to be competitive. Dressage is a high profile sport but it does not always receive the best publicity and the rollkur/hyperflexion debate over the last few years with respect to the questionable training practices of competition dressage horses should not prejudice riders against the discipline, causing them to dismiss the whole idea of basic dressage training and miss out on its benefits. Remove the trappings of the top hat and tails, and Steffen Peters could be considered as a purveyor of classical principles of riding and training that will improve the rideability and suppleness of any horse in any discipline; he has much to give. If the concept of competition dressage with all its controversies and discord is laid aside for a moment, and riders return to the original meaning of the word ‘dressage’, which is merely ‘training’, they will soon find that regardless of their chosen discipline, they are on the same page, for all riders will be using the same tools and techniques in developing the basic foundation in their horses before they move on to specialise in the various sports or disciplines. There are many components to the basic dressage foundation of the competition dressage horse that are pure common sense and are shared by the western horse, the show jumper, the hunter-jumper, the endurance horse, the camp drafter, the off the track racehorse, the driving horse and the children’s pony. As the late Director of the Spanish Riding School Alois Podhajsky said, the cornerstone of training is about riding the horse forward and riding him straight. Everything else is built upon that. 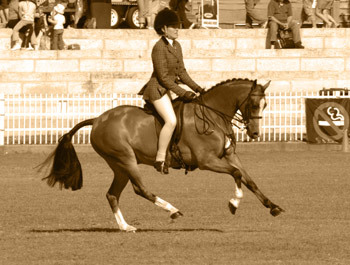 Sometimes the terms used differ but the other basic building blocks include acceptance of the bit, rhythm and cadence in the gaits, the connection of front and back ends through the horse’s back so that the two parts move as a harmonious whole rather than in two pieces (‘being through in the back’). Holes in the early training will come back to haunt a rider, as Steffen Peters himself verifies. “When the movements get harder, you have to focus even more on really sticking to the principles,” he says. So, if riders return to thinking of dressage as ‘training’ rather than ‘sport’ or ‘competition’, and consult the great classical writings on the subject such as Alois Podhajsky’s Complete Training of Horse and Rider, they will soon discover that basic dressage training according to the classical principles is simply a sound and sensible roadmap to putting a sound and proper foundation on a riding horse. 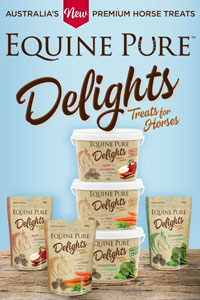 They will learn from dressage that a rider of a leaning and lugging Standardbred can re-educate the mouth of the horse. If they study C.O. 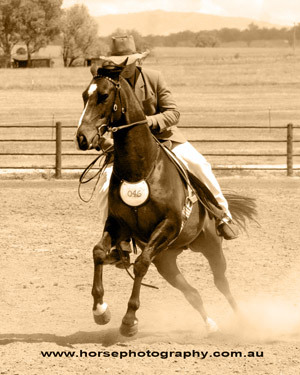 Williamson’s Training the Stock Horse, or Al Dunning’s book on Reining, they will discover that many of those same basic principles also apply to training the western horse – especially the reiner. The same wisdom crops up again when works devoted to the training of the hunter or the show-jumper, from George Morris to Sylve Söderstrand are examined. Done slowly, systematically and methodically without taking short-cuts, basic dressage builds the foundation in the riding horse for a long useful service life, making the horse fit, improving balance and helping to keep it limber and sound. It does not fix poor conformation in the show horse, but can enhance the good points that are already there and improve the horse’s top line, thereby making it more beautiful in its physique. Part of skillful showmanship is conditioning and muscling a horse so masterfully that its weak points are not so quickly noticed. Dressage training is part of that. To a certain degree, it can also improve the quality of a horse’s gaits. Dressage riders will often work halt-walk transitions to get a clear 4-beat rhythm in a horse with a poor walk – but that same remedy will also work for the show hunter. What judge of show hunters isn’t going to notice the obedient, lightly moving animal that has a beautiful round top line and displays its gaits with elasticity, spring and ease? Or the show-jumper whose lithe, supple equine athlete comes instantly back into hand after a long run between fences and jumps right off its hocks to clear a big vertical? 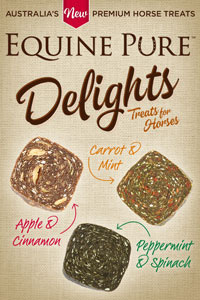 It is long hours of dressage schooling on the flat that accomplishes these things. elastic gaits thanks to dressage schooling is going to draw the judges eye in the ring. Basic dressage schooling also pays dividends in the stock horse: it can’t teach a horse cow sense or how to work cattle, but what campdrafter or cutting horse rider wouldn’t benefit from a horse that is instantly responsive to the leg as the horse is taught to follow the movements of a cow, or stay in balance and change leads quickly when working the beast through the turns and gates? That suppleness and agility can be trained through basic dressage work such as schooling for straightness and responsiveness to the rider’s aids and teaching the horse to collect and self carry so that it can work better off its hocks. 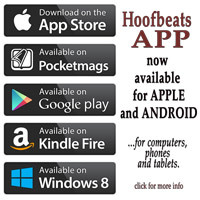 Imagine the seconds saved and the efficiency of the horse that is so supple and strong and schooled that it can gather itself quickly, collect itself over its haunches and elevate its front end to perform a rapid haunch turn or rollback! The western horse’s movements are more utility-oriented than the dressage horse, as for example the rollback/haunch turn versus the canter pirouette, but the foundation upon which they are built is the same. tailors the exercises to suit each horses unique personality, conformation and abilities. Similarly to the stock horse, balance, suppleness and agility are also vital in the endurance horse, as cardiovascular fitness alone is not enough to counteract the effects of fatigue when riding long distance. 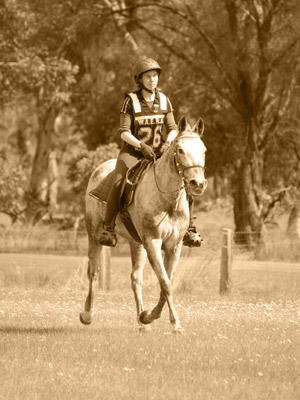 As the majority of the distance of most endurance rides is ridden in trot - over varying terrain at varying speeds - an active, balanced working trot is the pace to aim for with the power coming from the horse’s hindquarters. Basic dressage exercises encourage the horse to become supple and build muscle strength, allowing self carriage and better use of those hindquarters – avoiding too much extension or falling onto the forehand, which in itself can cause lameness. How much more pleasurable would it be to ride many kilometres if both horse and rider were able to do so with the least expenditure of energy? 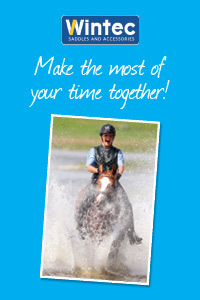 The horse that can perform with the minimum of effort can delay the onset of fatigue, thereby vastly reducing the risk of strain to muscles, tendons and ligaments, and ensure the best chance of success over a longer competitive career - a goal achievable by incorporating suppling and balancing exercises into the training of the endurance horse. All these different needs can be prepared for and fine-tuned through the myriad different suppling, gymnasticising and strengthening exercises of simple basic dressage training. of success over a longer competitive career. 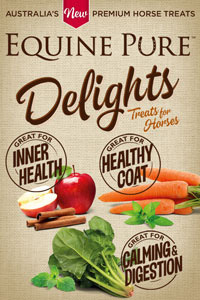 With this in mind, riders should open their minds to the very real possibility that a dressage rider such as Steffen Peters, who is steeped in the classical principles, might nevertheless be able to offer some helpful tips or new angles and insights from his world to help them improve their horses and themselves as riders in their own sport or discipline. Moreover, here is an international dressage rider who has stuck to his principles and shunned the gimmicks and the short-cuts and applied the timeless classical principles in the riding and training of his horses to get where he is today. So let’s examine Steffen Peters’ approach to training and see what tools from his tool chest when training his dressage horses might transfer universally and will readily profit horses engaged in other disciplines. For a start there is his way of thinking. Steffen has a holistic, ‘whole-horse‘ approach of training the horse’s mind as well as its body, that incorporates critical study of each animal as an individual and tailors the training and exercises to fit each particular horse’s unique conformation and temperament, and its own particular abilities and weaknesses. Perhaps because of the openness to new ideas of the society in which he lives, Steffen himself is receptive to ideas and approaches that might help him better communicate with his horse, including experimenting with clicker training on some. Because his clientele requires him to work with horses of many breeds and conformation types, he is less hidebound and bombastic in his approach to solving training challenges than another trainer might be who had straitjacketed themselves to the precepts of one school and whose experience in horses was limited to the training and schooling of Northern European Warmbloods only. Unlike so many modern dressage horses that go unsound as training progresses, Steffen can boast of strong, supple and robust competition horses that go on to live long useful lives. Take for example the Westfalian gelding Floriano, who was 17 when selected to be the alternative for the US Olympic Team in 2004, and who Steffen went on with to win the CDIO Grand Prix at Aachen, Germany in 2005 and impress again in the same city at the World Equestrian Games a year later. The slow road is - in the end - the fastest road. That’s a point to ponder in anyone’s book. Furthermore, Steffen Peters believes that training a horse is as much about training the horse’s mind as it is about gymnasticising its body – if not more so. As Steffen sees it, the equilibrium of the horse’s mind and body are linked. Tension in the mind can be caused by very physical matters in its body that can arise over the course of training and riding. Soreness of the muscles in the horse that has not been schooled to be supple will transfer into anxiety of mind when the horse associates schooling with discomfort, and tenses up. If it is a highly-strung type, it might worry and be anxious when asked to perform a new movement and become tense because of that. It would then require a few steps back to the horse’s comfort zone, working quietly at the trot or exercises it has already mastered, until it has relaxed and settled and can take the new lesson on board. Steffen understands that it is very important to be clear at all times and never confuse the horse and when it does something right, he should be very clear that it was right. It is the rider’s job to be clear in their aids so he has experimented a little with clicker training to help the horse make a clear connection when it has done something right. 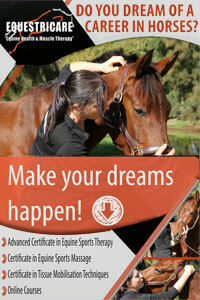 “When I train, 75% of what I’m doing is really training the horse mentally. The other 25% – getting the horse fit and developing the muscles, really isn’t that complicated,” Steffen told Holistic Horse Magazine. Steffen lays great weight on suppling as a major tool for preventing sore muscles in the horse, resulting from it not having been warmed up properly or cooled down long enough after working. Soreness can also occur if the horse has the wrong conformation for the job it is being asked to do, and it will inevitably occur if it is not continually kept limber and suppled in preparation for this work. Hence, warming the horse up until it is calm and relaxed, followed by suppling exercises, plays a major role in the elimination of anxiety and tension. The horse needs that warm up time at the walk to warm muscles, tendons and ligaments to produce the joint fluid that will ‘oil its joints‘ and allow them to be more elastic and move more easily in movements of greater effort. It also needs this time to settle its mind in readiness for the work to come. A tense horse is a stiff horse and one that cannot benefit from training. If it is stiff in the body, that will make it tense in the mind; likewise, if anxious and unsettled in the head, that will lead to stiffness and tension in the body. Movement does not relax some horses, in particular horses coming off the track that can be immensely tense and stiff when they first enter re-schooling, so need the assistance of an equine therapist or chiropractor to loosen up possible blockages. A stiff, tense horse is also more prone to hurting itself in other ways. 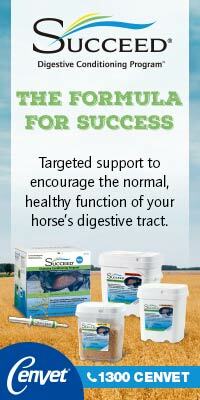 Errors or deficiencies in the abilities of the rider can also cause physical and mental tension in the horse. So when training, Steffen keeps a constant analytical eye on how each training session progresses, whether it is himself or a student. When giving clinics, he sharply analyses those working before him, studying the individual rider and analysing their way of working with that particular horse, watching closely for rider error which, left undetected and uncorrected, inevitably translates to errors and sometimes problems in the horse. Is there subtle anxiety or nervousness in the riders, causing them to work their extravagantly moving horses too deep in a subconscious effort to maintain control? 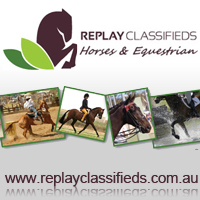 Are the rider’s hands too low or too heavy, causing the horse to fuss or evade contact with the bit? Is the rider’s seat undeveloped and unstable, thereby unintentionally shifting in balance and causing the horse to deviate from a straight line? Steffen’s refusal to allow himself to be pressured into producing results or to push and hurry a horse before the animal is ready is another example riders in all disciplines and sports would do well to emulate. For example, if he takes a young horse to a show, and the horse is all blown up with excitement, he won’t show him, using the opportunity instead for ‘milieu training‘ to accustom the horse to the sights and sounds of the showground. 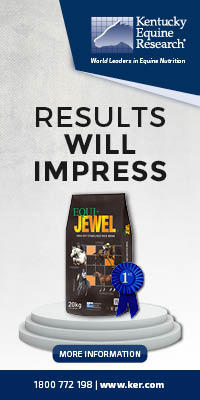 This pays dividends later on with a well-adjusted equine athlete that is robust in mind and settled in emotions when it is finally ready to show. There are not displays of fireworks or bad manners in the show ring from a Steffen Peters trained horse! Likewise, though a young horse might display fabulous natural talent and present eye-stopping quality of gait, which would tempt many lesser riders to show their horse before it is fully ready, Steffen has not the slightest qualm in sacrificing the expression of those gaits and deliberately delaying their further development until he first has the horse’s acceptance of the bit and softness in his hands. “The horse must accept the rider’s aids. 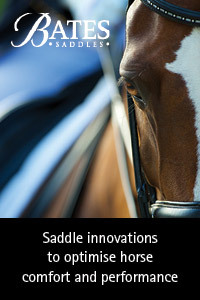 And he must accept the bit,” he said at the 2009 Global Dressage Forum. “First we want respect for the bit – expression can come later.” Delaying fancy movement and expression until the horse is properly responsive, fully supple, and sensitive and responsive to the rider’s aids, preserves the horse’s longevity and develops that expression of gait so that it will be even stronger and more beautiful than before. Nor is Steffen a practitioner of ‘kilometric dressage’ as former Cadre Noir man Philippe Karl disparagingly calls it, with ‘drilling’ upon endless ‘drilling’. No matter how much a horse might need the schooling, especially before a competition, ‘drilling’ always ends up with an animal that loses its brilliance or goes sour. Countless examples of dressage horses can be seen that are technically good but somehow seem like mechanical automatons – the spark is gone, the life and vivacity of the horse stifled. 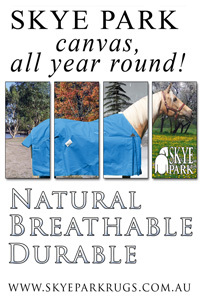 To keep a horse working willingly and happily entails keeping things interesting and continually varying the training. Furthermore, he tries to vary training, not only inside the schooling ring, but with other activities to keep his horses happy, alert and interested. In addition to their normal training, Steffen’s horses are walked out in hand, and are taken out for a relaxing hack on a trail that he has running over his property. So sure, Steffen Peters may wear a top hat and tails, and you and I wear jodhpurs or jeans. 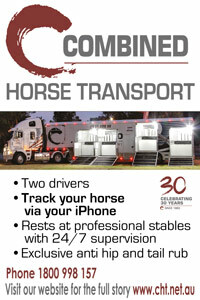 But the common sense fundamental principles of training horses run like a red thread uniting all equestrian disciplines. Seek ye wisdom where it may be found. So, thinking horsemen and women will go and sound Steffen Peters out when he comes to Melbourne in November. Ask him for his ideas and tips on how dressage can apply also to the problems and issues of riders outside the dressage ring. Who knows? Maybe the next we will hear is that he has consulted a western rider on how to achieve more snap and verve.